As you all know, today is World Environment Day. 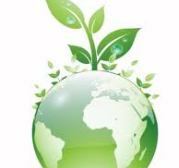 5th June was declared as the “World Environment Day” on the recommendations made by UN Conference on Human Environment in 1972. The United Nations Environment Programme (UNEP) through the celebration of World Environment Day spreads awareness and gets citizens’ support for environment protection across the globe. The theme for this year’s World Environment Day is Think. Eat. Save- Reduce our Foodprint. The campaign calls for minimizing waste of food at all stages of the food chain, from farm to fork. This is to raise awareness about the environmental consequences of our food choices and find ways to reduce our environmental “foodprint”, as food production has profound impact on environmental resources. Agriculture is responsible for 70% of fresh water consumption, 80% of deforestation, and 30% of greenhouse gas emissions. It is the cause of land-use change, biodiversity loss, and responsible for large-scale soil, water and air pollution. The campaign is also to remind each one of us that despite producing enough food for everyone, 90 crore people still go hungry world over. On this day we take a pledge to make a difference, individually as well as collectively, to reduce food loss or wastage and move towards a world where everyone has enough to eat and no one is malnourished or undernourished. This mission cannot be achieved when we lose almost one-third (about 1.3 billion tonnes) of all the food produced globally. It is ironical that developed nations waste food more than the less developed countries. In India we lose approximately 40 per cent of perishable and non-perishable food at different stages from production, transportation, storage, retail to consumption. Millions of tonnes of food grain, in the absence of adequate storage infrastructure, rots every year. 1. June 5th was the day that United Nations Conference on the Human Environment began. 2. The campaign, Think. Eat. Save addresses the huge annual wastage and losses in food, which, if conserved, would release a large quantity of food as well as reduce the overall carbon footprint. 3. 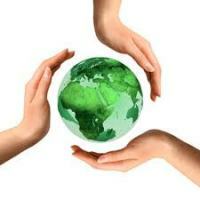 India was selected as the host of World Environment Day 2011 by the United Nations Environment Programme (UNEP). This post contains the Environment and Health current affairs of June 2013. These are short Environment and Health current affairs 2013 notes for quick review.